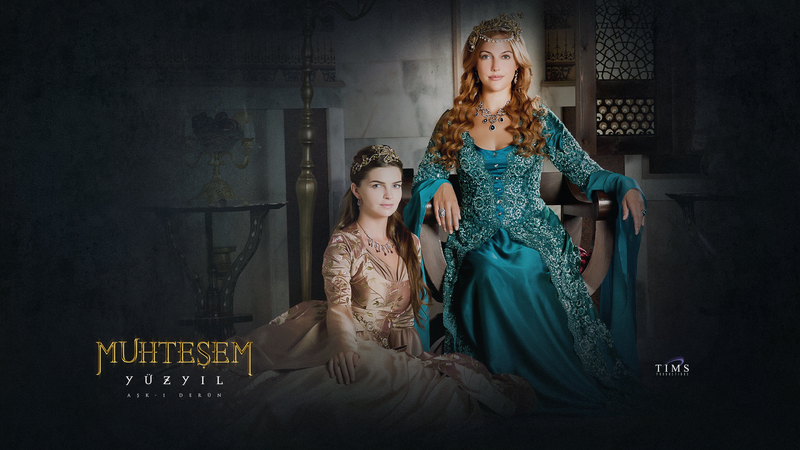 Mihrimah Sultana and Hurrem Sultana. . HD Wallpaper and background images in the Muhtesem Yüzyil - Magnificent Century club tagged: magnificent century muhtesem yüzyil mihrimah sultana hurrem. This Muhtesem Yüzyil - Magnificent Century wallpaper might contain 晚宴礼服, 正式的, 晚礼服, 正式晚礼服, 吃饭时穿着得体, 正式的晚礼服, 伴娘, 荣誉女仆, and 伴娘伴娘.